When you have to get to know the highest alpine region only in three days, you can´t call it a serious adventure holiday. 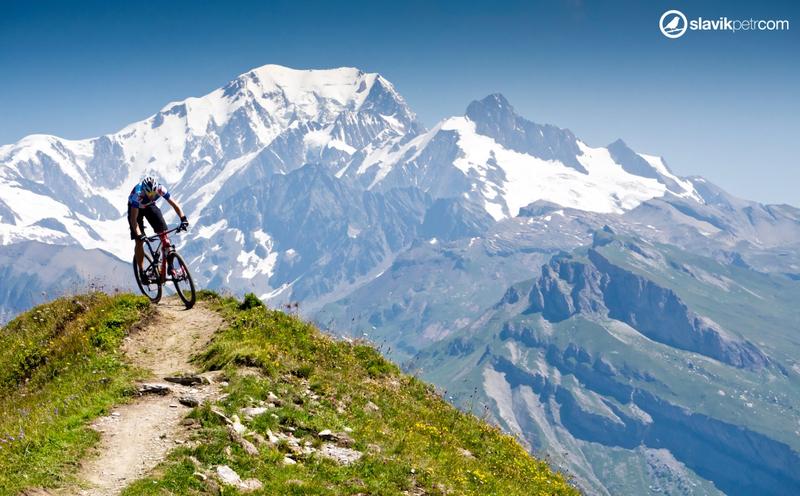 But even a taste of these mountains may be the most intense experience of your biking season. Who would resist it? In the middle of last summer, Luke Vlach, Brno Merida Biking Team manager, called me that they had a free seat in the car going to Val d'Isère which would hold the last race of the World Cup. "It's beautiful there, wonderful mountains and surely you will have a free day when you can bike," whispered Lukas in my ear as if he was fixing me up on a blind date. I have only a vague idea about the area. I know perhaps only the fact that it's pretty far. 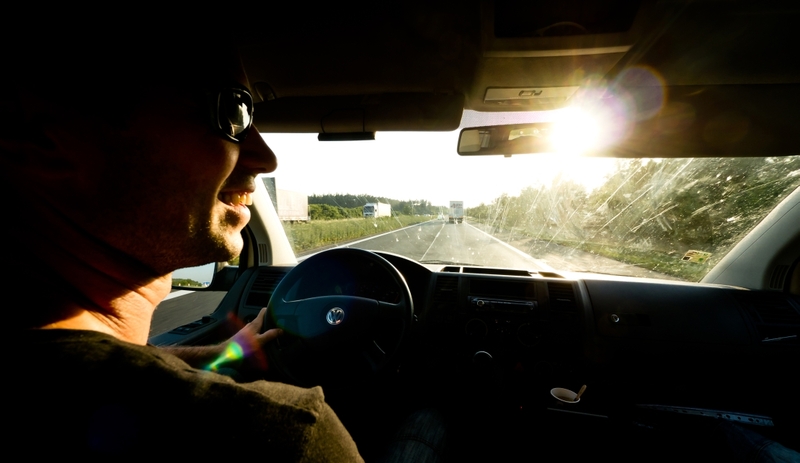 But if I don´t have to sit behind the wheel, why not? It's a great chance to get to know other mountains, such an offer simply can´t be refused. Only a fool can go on a date unprepared, so I sit down at the computer and google everything I can. And immediately the contours of the object of my interest get more specific. The Savoy Alps are the highest, one of the most important and most visited alpine area which spreads mostly in France, only pieces extend to Switzerland and Italy. The biggest attraction is of course majestic Mont Blanc, during the high season besieged by tourists, with 4,807 metres the highest mountain in Europe. That´s the basic picture and now hurray to find some trails. I´m furiously pounding away on the keyboard, I´m searching through proven resources, ingeniously combining keywords. Nothing. While in a few tens of kilometres away in Switzerland they will serve trails with GPX under your nose, in the Savoy Apls it is almost a dirty word. In biking parks that offer downhill orgies, enduro and XC trails it´s quite alright but once you want to go beyond their borders, it's misery. Then you´ll notice a large number of guide companies that operate in the area and everything is clear. You need to pay for the best trails or you will have to go and look for them on your own. It's the end of July, we've come to the end of the long stretch of highway and we finally get off in the renowned mountain resort in the middle of the Savoy Alps, eighteen hundred metres above the sea level, some five kilometres from the Italian border. Val d'Isère is not exactly a picturesque village of the Austrian type, it's rather a bigger but still nice touristy hutch. There were the Olympics in 1992, Tour de France and this weekend the regular ski world cups will be completed even by the biking one. Accommodation is not a problem thanks to the winter season capacities. For a very reasonable price you can have an apartment directly on the main street with a view of the surrounding hills that rise confidently to the three thousand meters level. When everything for the World Cup race is ready, we set out to explore the surrounding hills. 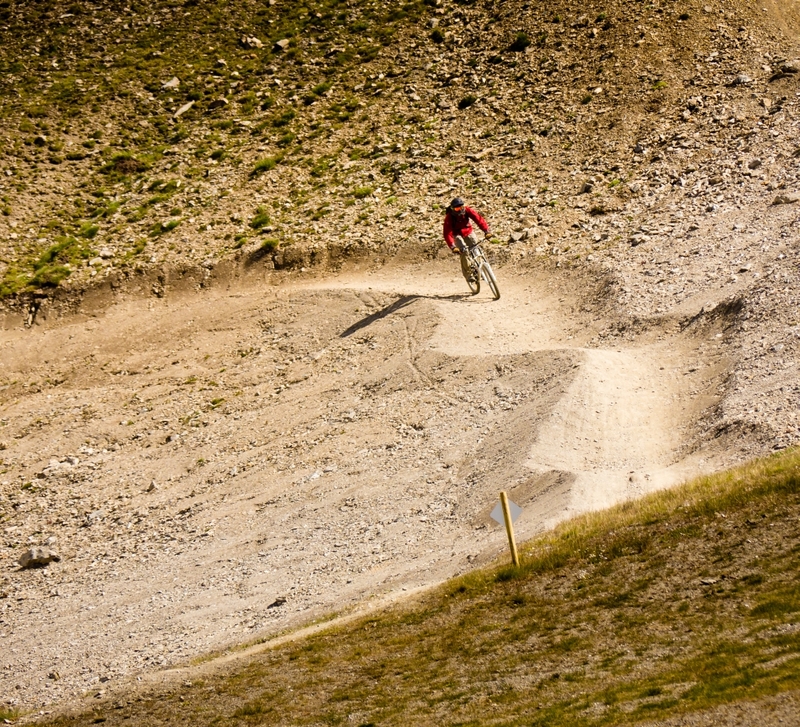 Val d'Isère together with the neighboring Tignes make a bike park of very solid parameters. A combination of five big lifts, 150 kilometres of trails and amazing mountains, all this makes a very high caliber. 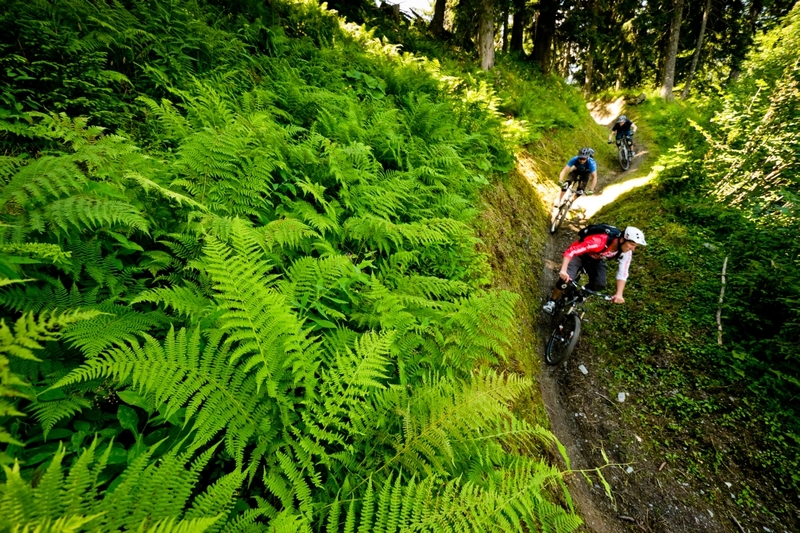 Downhill, Freeride, Enduro, XC - it's all here. 29 trails. 2 green, 10 blue, 5 red, 3 black, add some bikeland and other stuff. The trails are made of piled dirt, but are well-maintained, although sometimes they can be a bit poorly marked. There is enough fun for bikers for an etire week. Unfortunately, it’s a late afternoon and therefore today we have only one attempt. Cable cars in the area are not cheap. Along with the accommodation at some hotels and apartments you get KDO Card with which you can enjoy cable cars and other activities in the area free of charge or with a significant discount. According to the secret advice of a girl from tourist information, the KDO Card can be bought at the lifts in Tignes for about 2 euro. However, the special offer is valid only within a certain time period during summer months. Olympique cable car spits us out under Toviere peak (2695 m) and instantly we have the entire massif of surrounding peaks at our fingertips. When you think it 's not possible to go higher, surprise!, there's even another higher mountain. No, no, these are not small mountains; and there are lots of variants to get down. But time is of the essence so we choose the simplest way to our valley - L' Enduro trail, 8 kilometres and 840 metres of altitude difference. The narrow trail leads you first along mountain plains, panoramas are everywhere around, no wilderness, one of those honest all-mountain bike parks. In the middle the trail gently circles the mountain lake, as if it was asking for a couple of nice photos, and then breaks up into a steep mountain river valley. Such a great first date – I love it! PThe first contact went extremely well as if the legendary French elegance could shape even mountain ranges.The Savoy Alps simply made a good impression on me, so immediately after I start planning the next journey, which would go a little deeper. 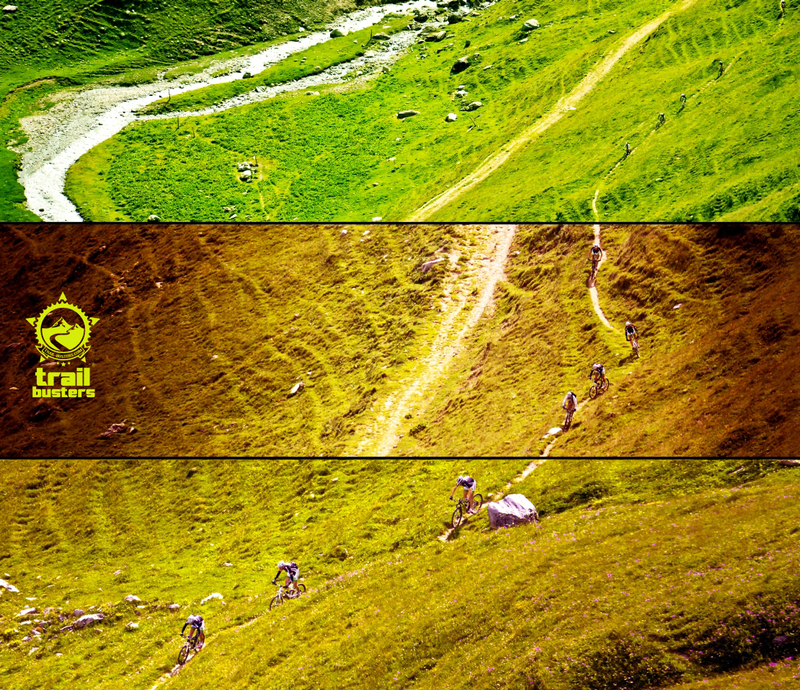 Luckily, I had brought from home a contact of TrailAddiction, renowned guides with an excellent reputation. 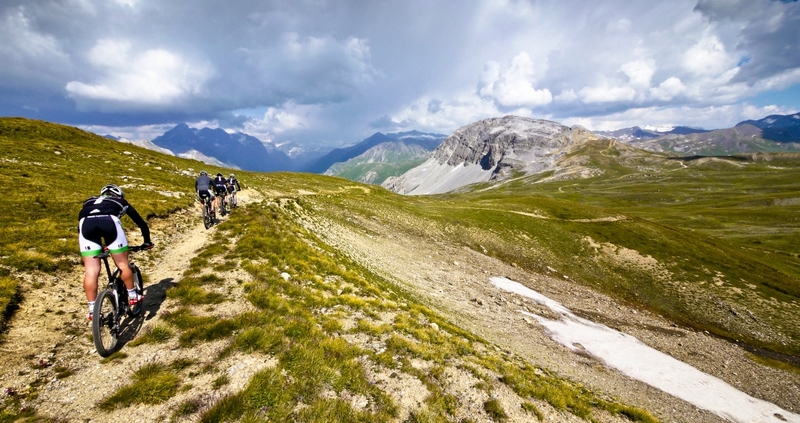 After only a few emails we booked their one-day special called "Destination X" which combines the best singletracks in the western foothills of Mont Blanc. The next day in the early morning we get into the car and drive through a deep valley of the river Isere to the meeting with our guide. Breakfast with style - crispy croissants from the village bakery are unique - and we can kick the action off. In front of an alpine cottage in a side valley we are greeted by a nice guy with - to our surprise - an uncatchable accent of a Liverpool suburb. He solves the confusion by explaining that the Alps are a favourite retreat of British emigrants from oppressive weather. 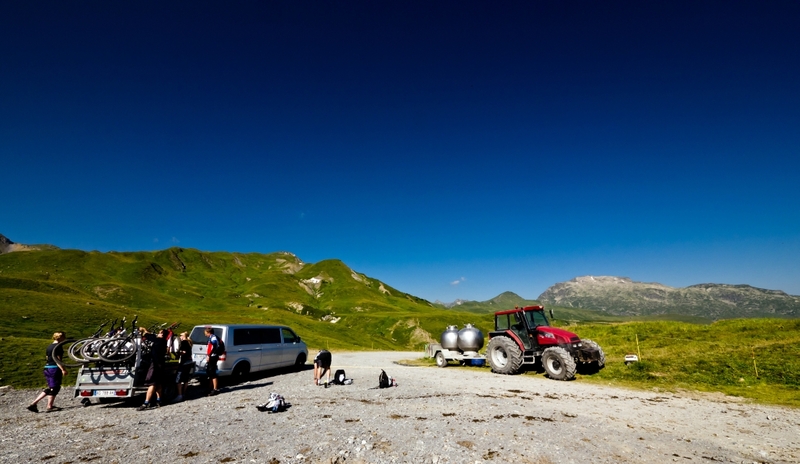 We load the bikes, sit in the van driven by his pretty colleague and set out following a narrow road lacing the valleys. Tip: Is paying for a guide worth it? Bikers are used to solving everything on his own and saving money whenever it's possible. So why on earth pay a guide? Simply because you can enjoy your well-deserved holiday to the last drop. You sit on the bike and just focus on the trail ahead. No worries, no getting lost, no unnecessary asphalt and gravel roads, no desperate guesswork at each intersection. The difference is staggering. Services of guides in the Savoy Alp are gradually shifting from providing individual rides to a professional provision of the entire holiday. They offer accommodation in a chalet, all meals, shuttle on every ride and of course a guide who will lead you through the best in the area. For such a week you'll pay approximately €500. Everyone has to decide on their own whether it's worth it. Inspiration can be found at TrailAddiction.com which we definitely recommend. We get off on a mountain saddle. Where exactly? I have no idea. I lost the perception of the cardinal directions about fifty switchbacks ago. First Ben asks us politely "no GPS recording, please" and then he points deep into the valley. In front of us there are 14 km and 1400 vertical metres of downhill to the valley. The warm-up path full of technical rocky passages is alternated by a gravel climb which is then followed by breathtaking fun. 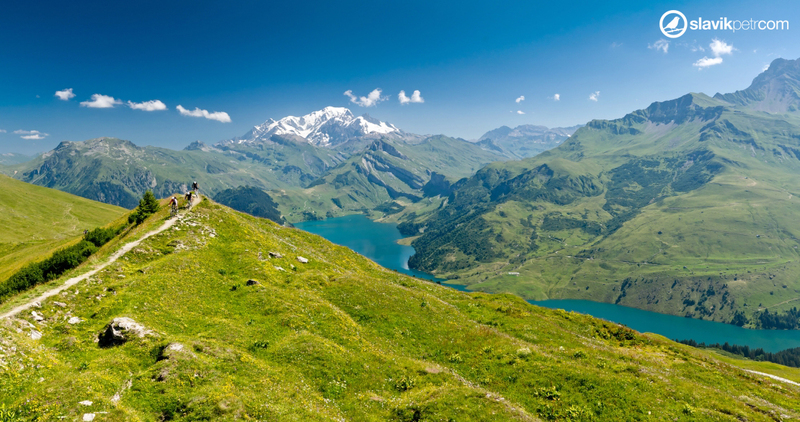 …deep below us the azure Lac de Roselend is glittering, behind the lake there is Mont Blanc sprawling confidently. ... we start a descending passage just technical enough, fast going but seemingly never-ending. 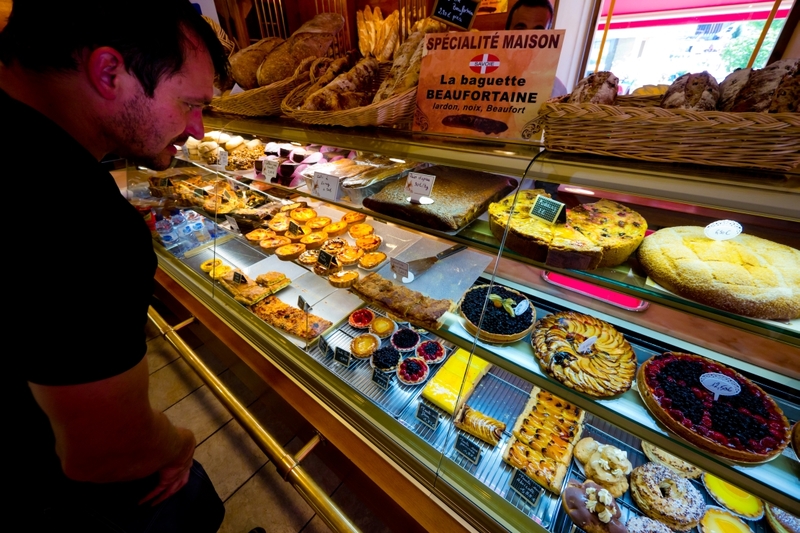 We are stopped by a patisserie in Beaufort. If we went home now, I wouldn't object. It was great. But we aren't going back. On the square we are awaited by a cup of coffee, dessert and the van. 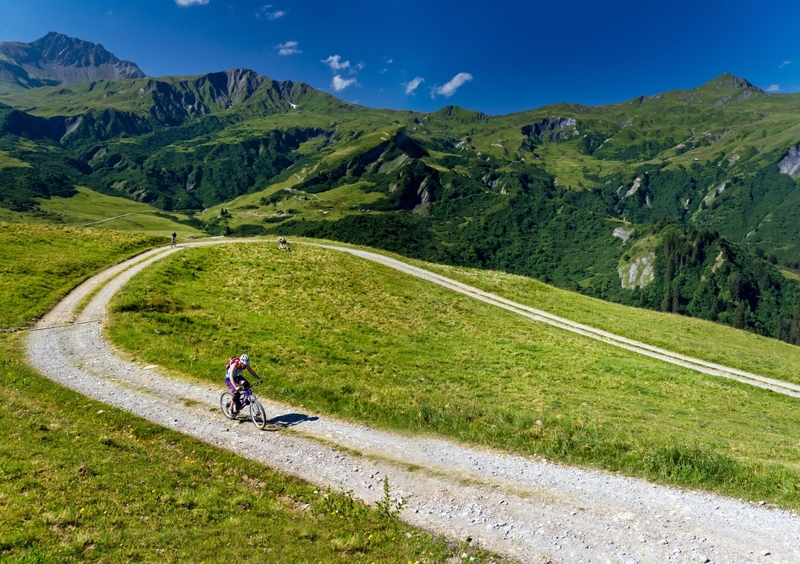 The car brings us to other 12 km of a one-hundred-percent authentic single track combined with peppery 1,300 vertical metres in the Beaufortain massif and above the Olympic town of Albertville. If the morning trail was rattling, this brother of his is as sharp as a razor. We fly through the forest, one challenging technical passage is followed by another one even more difficult. Rocks and roots, dust and sweat, adrenaline and endorphin overloading my system. When I emerge below the hill, I gaze around, I feel like I have fallen into another dimension. One ride will give you more than a half year on Czech hills. We still need to get a train to our car, wash and scrub in a glacial stream and the second date is over. Oh yeah, I know, I shouldn't push my luck, but after today's rendezvous I would get married. Are you looking for an outdoor guide in the Czech Republic? We can warmly recommend you our friends from Biko Adventures! 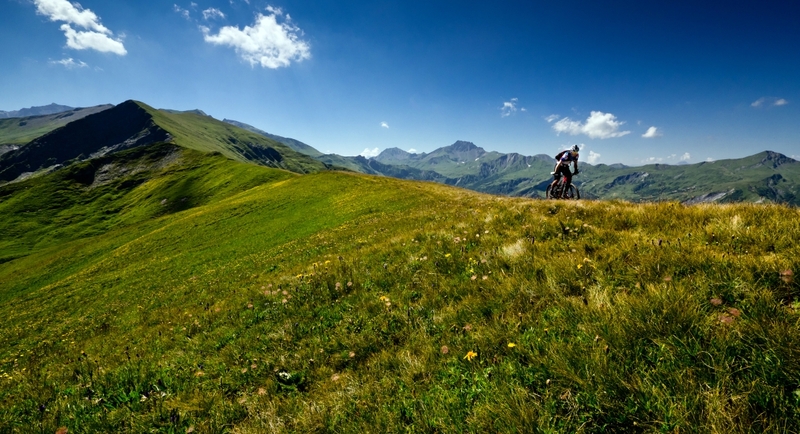 Challenging terrain is better ridden in the saddle of all-mountain bike with a travel of 140mm. But it is not an obligation. 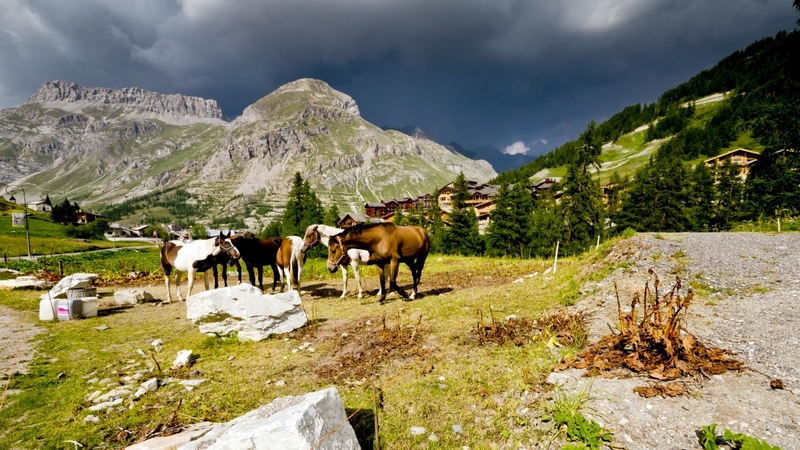 The Savoy Alps is the highest alpine regions and the climate is corresponding to it. Therefore, the ideal time to visit are summer months. Even so, be careful and always pack some warm clothing, even in July you can get surprised by snowfall. GPX records of high-quality tracks in the area that can be found are limited. Local guides guard the best trails like family silver. 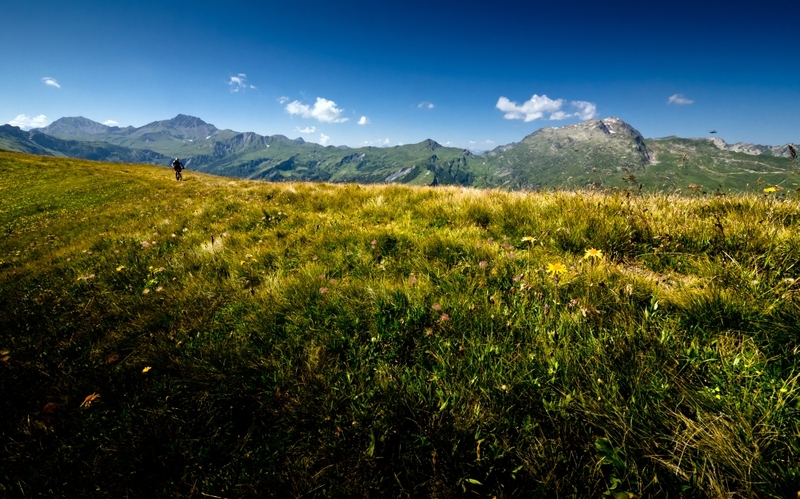 If you don´t want to use their services, you have to count on a good map and hiking trails. The situation is significantly better around biking centres where records and maps of trails are available both in print and electronic form. Even in summer take warm clothes. A First Aid kit. Spare brake pads. Good insurance covering off-road cycling. 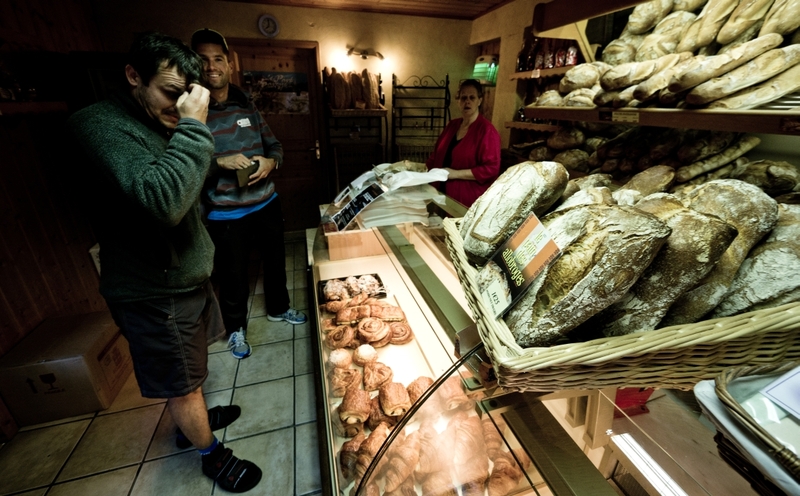 Shops, restaurants and cafes in mountain centres are quite expensive. If you want to save money, it is better to go down into the valley to one of supermarkets. In contrast, apartments can be found cheaply thanks to generous capacities ready for the winter season. Keep in mind that these are big mountains more suitable for experienced bikers. However, the developed tourist infrastructure smooths the difficulty edges.